uidance into Sacred Sandhana with Ayyappa Swami. December 2nd – January 13th. 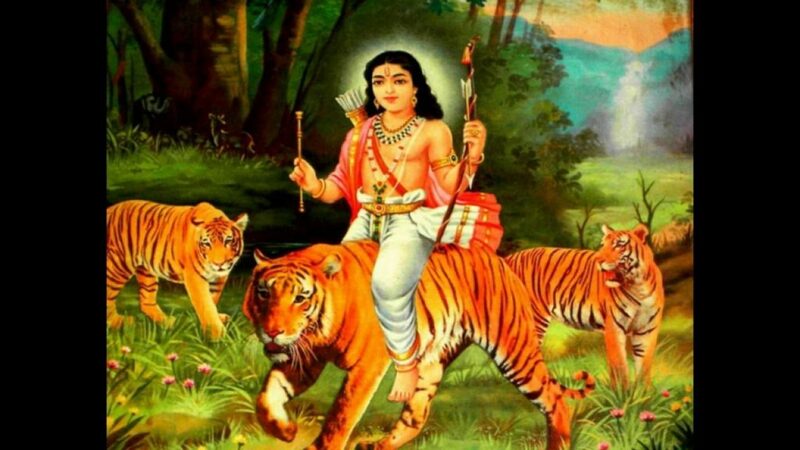 Ayyappa Swami, 3rd son of Shiva bestows strong power over negative forces and Sadhana with him at this sacred time of year uplifts and strengthens, willpower, determination and vigor in all sincere and dharmic pursuits. This sadhana is the opportunity to engage in a committed and expansive Mantra Sadhana for 41 days, culminating in a powerful puja in his honor on January 13th.